The refinancing package has been sealed with high street bank Natwest and is one of the first for a battery storage asset in the UK. The 49.9MW facility was commissioned in December 2017 and as such has now been operational for six months. It clinched a two-year Firm Frequency Response contract to provide services to National Grid and also has a 15-year Capacity Market contract, commencing in 2020/21. Tom Vernon, managing director at Statera Energy, said that the refinancing package demonstrates the bankability of battery storage and praised Natwest’s “pragmatic” approach which was “essential in structuring a financing of this nature”. 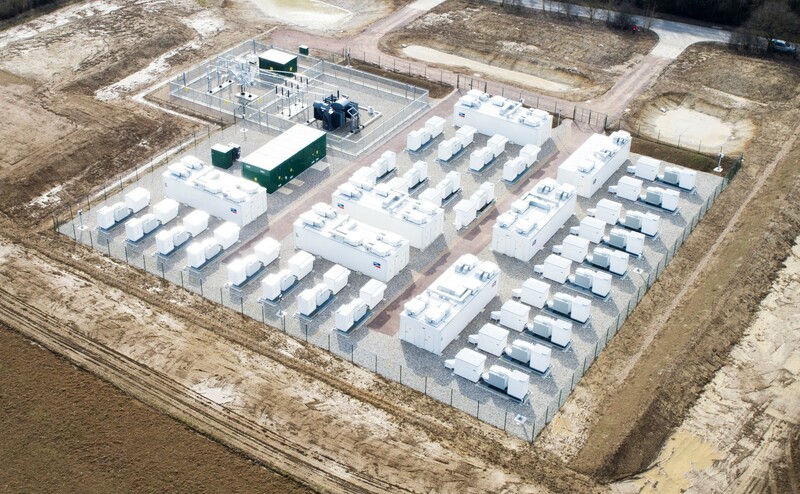 “We believe that battery storage will play a pivotal role in facilitating the UK’s transition to low carbon generation and thanks are due to all parties involved in delivering this landmark project. It has been an immense team effort where we have benefited from the full support and cooperation of UK Power Networks and National Grid,” Vernon added. Natwest meanwhile said it was “delighted” to play a pivotal role in facilitating this “milestone transaction”. “Natwest is committed to becoming a more sustainable bank and supporting the UK’s ambition to become a low carbon economy is an important part of this,” the bank’s director Steve Guy added.